You know some major stuff is going down when a book opens up with a character finding a body in a swamp. When it's the body of a gorgeous, innocent looking young woman with strange markings on her body, you just opened up a page-turner. And when the main character is a fiesty young lady from the bayou with an unfortunate family history - descended from a liason between slave and a master, mother rumored to be a witch- you realize it's going to be a barn-burner. Dark Paradise is the first in a series by Angie Sandro about Malaise LaCroix, AKA Mala, a young woman coming of age in all the usual ways, along with learning about her strange family history. She has a couple of young men who stir up feelings she's not sure what to do with, one of whom is the brother of the dead girl, who starts paying her visits. Mala barely has time to think about her budding romantic feelings before the more scary and supernatural elements of the story come into play. 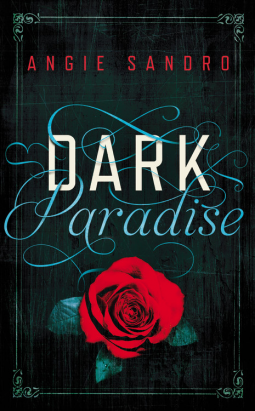 Dark Paradise is classified as "New Adult" and "Romance," but there are a lot of fantasy elements to it as well, and even a tiny bit of horror. I have to admit that when I heard those genre listings, I wasn't super excited about it; I don't usually read books in those genres. But the book was provided to me by the publisher to review, so I decided to take a chance on it, and I couldn't put it down. This is not an intellectual read, but it's super entertaining and interesting - a classic beach/poolside/fireside read. The main characters are well developed and there are enough surprises to keep you reading. I'm going to read the followup, Dark Sacrifice, next. Note: This book was given to me for review by the publisher, and my Amazon affiliate link is also used. Thanks for your book review! I've been looking for a fun read like this, I'm planning on picking this up on my Kindle soon!